Scripture selection is Day 4 Period I.
for March 8th are Glorious. Please pray for Dennis serving our country. Please pray Fr. Joe's book & cover & all involved. Dear Father united to Jesus in the Holy Sacrifice of the Mass, the Sacrifice of Calvary sacramentally made present, celebrated around the world, in the Holy Spirit. We offer up all we do united to the Mass. We unite in one mind and one heart as members of the mystical body of Christ, with Christ our head in the pure and holy Hearts of Jesus and Mary, through the powerful intercession of Mary with all the angels and saints and souls in purgatory, and we beg for the saving grace, for our country, the United States. Please help us. We further pray for unity to always do the will of God in love. We spread the Blood of Jesus on the leaders and people of the United States and cast the devil into hell. We consecrate our country to the Sacred Heart and Immaculate Heart and all our dioceses, and beg for an outpouring of the Holy Spirit. God help us. We pray for our families, the priests, the Church and the world. In the Name of Jesus please hear us, we pray. We pray for our new president as he takes office. We pray that we are united as one nation under God to work together in love as God wants. Jesus wants us to put out Blue Book 17.
this book is Oct 1997 to Dec 31, 1997. He will give it to you"
and peace and joy among our brothers. it will be given to you. our beloved God – more and more supernaturally. Come to us Lord and possess our soul. in the work He has called us to do today. calling us in our vocation to do. the Guest of our soul. We seek order in our lives, not disorder. the will of God in love. You as You desire in our lives. this work you call us to do. and to walk in holiness and love. grace and holiness today and always. Come to me Lord and possess my soul. Give us faith and right reasoning. Help us to love and be just in our actions. pleasing to You in everything. Help us to hope and love in Thee. God's will in our lives. We pray for the gifts and fruits of the Holy Spirit. desire us to do in our lives. Come to me, Lord, and possess my soul. Come into my heart and permeate my soul. Help me to sit in silence with You and let You work in my heart. I am Yours to possess. I am Yours to use. I want to be selfless and only exist in You. Help me to spoon out all that is me and be an empty vessel ready to be filled by You. Help me to die to myself and live only for You. Use me as You will. Let me never draw my attention back to myself. I only want to operate as You do, dwelling within me. I am Yours, Lord. I want to have my life in You. I want to do the will of the Father. Give me the strength to put aside the world and let You operate my very being. Help me to act as You desire. Strengthen me against the distractions of the devil to take me from Your work. When I worry, I have taken my focus off of You and placed it on myself. Help me not to give in to the promptings of others to change what in my heart You are making very clear to me. I worship You, I adore You and I love You. Come and dwell in me now. in the state you live in. Our Lady of CLEAR - WATER. to help with the blessed water. are to help people to be more deeply united to God in the Mass. This book is available in English and Spanish with the Church’s Imprimatur. Teachings to Lift You Up. Author: Rita Ring. Discerned by: Fr. Edward J. Carter S.J. The Fire of His Love. Author: Rita Ring. Discerned by Fr. Edward J. Carter S. J. Love God, Love One Another. Author: Rita Ring. Discerned by Fr. Edward J. Carter S.J. So Deep Is the Love of His Heart. Author: Rita Ring. He Calls Us to Action Author: Rita Ring. He Calls Us to Action - The Sixth Book, Part B Author: Rita Ring. He Calls Us to Action - The Sixth Book, Part C Author: Rita Ring. See thru the Eyes of Mary. Author: Rita Ring and Fr. Edward J. Carter S.J. Shepherds of Christ Overview: Very carefully discerned by Fr. Edward J. Carter S. J. Red Rosary Book - Author: Rita Ring. Discerned by: Fr. Edward J. Carter S.J. 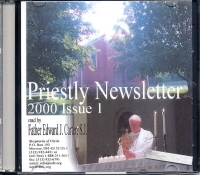 Messages From Jesus for the Ederly, Ill, and Homebound Given by Jesus to His Messenger - Author: Rita Ring Discerned by Fr. Edward J. Carter S.J. Given by Jesus to His Messenger Author: Rita Ring. Discerned by: Fr. Edward J. Carter S.J. From the Florida Apparition Site Author: Rita Ring. Discerned by: Fr. Edward J. Carter S.J. A Coloring Book with Short Meditations on the 15 mysteries of the rosary. Author: Rita Ring. Discerned by: Fr. Edward J. Carter S.J. Color the Lives of Jesus and Mary. Volumes 1 through 7. Coloring books and meditations for grade school children and others on the mysteries of the rosary — really good. $5 each. Color the Lives of Jesus and Mary. Volumes 6 through 7. Coloring books and meditations for grade school children and others on the mysteries of the rosary — really good. $5 each. Fr. Joseph Robinson has dedicated his life to serving Christ and the Church for over 40 years. Fr. 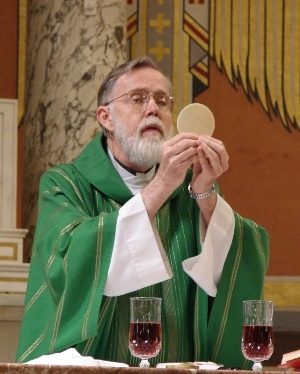 Joe Robinson's latest homilies for Cycle C for 2012/2013. Fr. Edward J. Carter S.J. Fr. Edward J. Carter gives to the modern Christian a message that will sustain him. Selected Writings on Spirituality — for All People Editor: Fr. Edward J. Carter S.J. Holy Spirit Novena, Associates Prayer Manual and the Rosary Led by: Fr. Edward J. Carter S.J. Author: Fr. Edward J. Carter S.J. Shepherds of Christ Prayer Manual. The Shepherds of Christ has prayer chapters all over the world praying for the priests, the Church and the world. 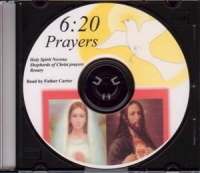 These prayers that Father Carter compiled in the summer of 1994 began this worldwide network of prayer. Currently the prayers are in eight languages with the Church’s Imprimatur. We have prayed daily for the priests, the Church, and the world since 1994. Associates are called to join prayer Chapters and help us circulate the newsletter centered on spreading devotion to the Sacred Heart and Immaculate Heart and helping to renew the Church through greater holiness. Please form a Prayer Chapter & order a Prayer Manual. These items are very special additions to your home or place of worship. Ivory gowns with gold trim. White or Ivory gown with gold trim. White gown with gold trim. Ivory gown with gold trim. 1) Pray for the Pope & hierarchy to help us start prayer chapters. Jack, Jean, Amanda, Matthew, Special intentions. 3) Pray for the priests, the Church and the world! also for the spread of priests doing prayer chapters. 5) Pray for the spread of Blue Books. 6) People going to Florida and China. 7) Vocations to all 7 categories. 8) Pray for spread of Consecration and Rosary. 9) Pray for pope helping us. 10) Pray for Jeff - sales & health. Pray for Nick. 11) Blue Book 17 and cover and all involved. 12) All intentions on my list, Jerry's list. 13) Priests getting Fr. Joe's book. 14) Pray for Fr. Joe's new book, cover & funds for printing & postage. 15) Donors and members and their families. 16) Healing of the Family tree. Jim & statues, Fr. Ken, Monsignor, Kerry, Tom & wife. 18) All who asked us to pray for them. 19) All we promised to pray for. Ed, Jimmy, Steve, a special couple, Rosie & all involved. 21) 2 babies and moms. 24) In thanksgiving for gifts, graces, & blessings received. 25) Spread the Blood of Jesus on all of us here. 27) Cast the devil out of all of us here and all in Movement. Copyright © 2014 Shepherds of Christ. May be copied in its entirety, but neither re–typed nor edited. before any distribution takes place. Please contact us for more information.